Bicycle riders in New Hampshire are held to the same standards as other motorists. This means that bicycle riders are afforded the same rights and privileges as every car and motorcycle on the road. Likewise, bicycle riders are held to the same rules and responsibilities as any other motorist on the road. Sometimes, a bicyclist involved in an accident may sustain severe physical injuries that may require expensive treatment and rehabilitation. It is important that the bicycle accident victim is made aware of his or her rights by hiring an experienced bicycle accident attorney. 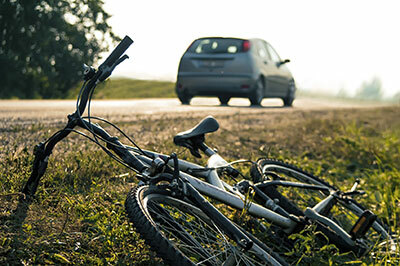 If you have been involved in an accident while on your bicycle, Teale Law will aggressively pursue the responsible party and help you recover for your injuries and expenses. 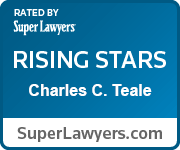 The best way to learn about your rights and options after being injured in a bicycle accident is to contact Attorney Charles Teale directly. Please call 603-935-7425 today to schedule your free confidential consultation at our Manchester office. 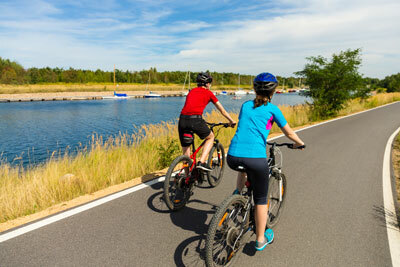 In worst-case scenarios, bicycle accident injuries can be severe and even life-threatening. The best way for a bicycle rider to reduce the risk of sustaining severe injuries in a bicycle accident is to wear a properly-fitted helmet. New Hampshire Bicycle Laws and Safety Guidelines require bike riders under 16 years of age to wear bike helmets (RSA 265:144 X.). Both hands of the bicycle rider must always be used to have full control of the bicycle (RSA 265:144 IV), and the bicycle rider should always be ready and able to effectively stop in an emergency (RSA 266:88). Carrying bulky packages while riding a bike is an accident waiting to happen, and is also regulated by New Hampshire bicycle laws (RSA 265:144 IV). Visibility plays a crucial part in steering clear of common bicycle accident injuries. Riders should consider wearing fluorescent and retro-reflective clothing for improved visibility at day or night. Bicycles must be fitted with lighting devices or reflectors in the front or rear parts of the bike (RSA 266:87). Lastly, riders must always ride with the traffic and stay on bike lanes to avoid clinging near larger vehicles that may not have a full view of you or your bicycle. Bicycles can be as dangerous as any other vehicle. According to the Centers for Disease Control and Prevention (CDC), bicycle riders have a higher risk of crash-related injury and deaths than occupants of motor vehicles. Statistics by the CDC also show that in 2013, there were 900 bicycle-related deaths and approximately 494,000 bicycle-related injuries around the country. The dangers involved are not to be taken lightly. The same level of caution should always be practiced on the road whether you are cruising with two wheels or driving with four. Data by the National Highway Traffic Safety Administration showed that New Hampshire is one of the states with the lowest recorded bicycle-related fatalities from 2010 to 2012. In the three-year period, New Hampshire experienced only four bicycle related fatalities. Nationwide, the lowest number of bicycle related fatalities for the same period was recorded in the state of Vermont (only one (1) in the period), while California had the highest rate with 338. Contact Teale Law immediately if you have suffered an injury or lost a loved one due to a bicycle accident. 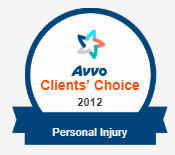 We will aggressively pursue your rights, and get you you the compensation you deserve for your injuries or loss. Teale Law may be contacted at 603-935-7452, and consultations and case evaluations are always free. 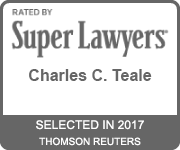 Teale Law serves clients throughout the state of New Hampshire, including the cities of Manchester, Concord, Nashua, and Portsmouth.